And this is the link to the application form to make things even easier.. I recently attended CMDR Ian Cook's farewell BBQ and was pleased to see that finally the RAN does more to acknowledge the service given by it's members on retirement and promotion. Certificates given today are worthy of framing and are a big improvement on the "Certificate" that most of us received, a piece of paper with our enlistment details. As many of you have received medals since discharging I recommend that you apply for an updated Certificate that lists your Awards. The address for details is available at the Navy website. This day each time of year! As they stand so proud and tall! Who were loyal to the end! Though they know the reason why! For old Diggers even yet! back to 1988 when he was a Backbencher. reflect on the service of our Defence personnel," he said. a tribute to loved ones, including deceased family members. commercially and are not recognised through the Australian honours system. These awards should not be worn at public events on Anzac Day," he said. $3300, six months imprisonment, or both. and 80 B of the Defence Act for falsely claiming entitlements to medals. exists, are currently subject to legal proceedings. This is Banga Cannon's work guys it is excellent. I had my Parents medals mounted with mine and would recommend sending your medals to Banga to have them done. 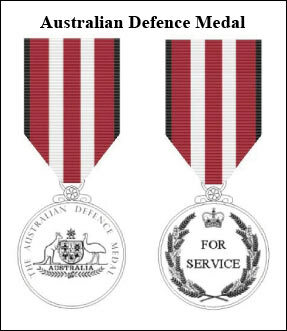 The Australian Service Medal (ASM) with Clasp SPECIAL OPS was awarded to naval personnel who had been aboard submarines, on trips as specified by CDF. There are still a number of ex-submarinersfrom the RAN who haven't applied for their ASM and as a consequence, their Medals remain undelivered. http://submarinesaustralia.com/health_medals.htm and it is worth checking to see if your name appears. The list may not contain all those that were eligible and there are still names of some that have applied for theirs, so check it out and either apply for your medal or let me know that you have received yours so the list can be amended. Inquirers calling on the 1800 telephone number should be aware that these numbers can experience busy periods, and delays may be experienced in reaching an operator. These are the Queens Diamond Jubilee Medals for all members of the military who have served during Queen Elizabeth II reign. You can buy them from several places but I ordered mine direct from England for around $90 delivered.. Julia decided we would be the only commonwealth country to make the veterans buy their own.. No surprises there... you can click this link to order your own they take about 3 weeks to get here as they are pretty busy..